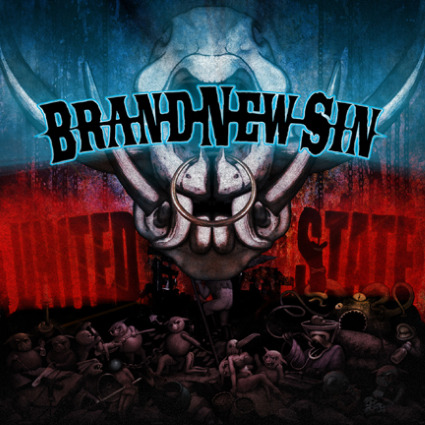 JP's Music Blog: CD Review: Brand New Sin Bring Together A "United State"
CD Review: Brand New Sin Bring Together A "United State"
New England hard rockers Brand New Sin are ready to release their follow-up to their 2009 independent release "Distilled." The new album " United State" will be available on October 11 through Goomba Music. The new album features the core trio of Kris Wiechmann (vocals/guitars), Chuck Kahl (bass), and Kevin Dean (drums) with the addition of Tommy Matkowski on lead guitar. Tommy makes his presence know right from the album's opening track "The Lord Came Down." The band spent most of 2010 on the road, opening for Slash & Miles Kennedy and defining their hard rock sound which shows on the album's 13 new songs. The band really take-off on "Know Yourself" which shows the brute force of Kris' vocals and the pounding rhythm section of Chuck and Kevin. The band shows some of their southern rock side on "All My Wheels," then change gears for the acoustic rocker "Rotten As Hell" which gives us a taste of their unplugged sound. 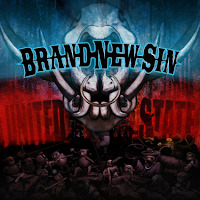 Brand New Sin are full of hard rock guitar riffs which define their music as in the songs "Infamous" and "Groups of 5." They also bring-in a 70s hard rock vibe on "The Cup and The Lip" which shows another demention to this band's killer songwriting. The band dips into its acoustic pool one more time on "Travel Well (The Les Daniels Song)" before finishing with a cover of AC/DC's "What You Do For Money Honey." Brand New Sin have some dates scheduled in the Northeast. Check out the band's website, brandnewsin.com for more information on this rising hard rock band.